Last weekend, I photographed Sarah and Mike’s Snapper Inn Wedding on Long Island. 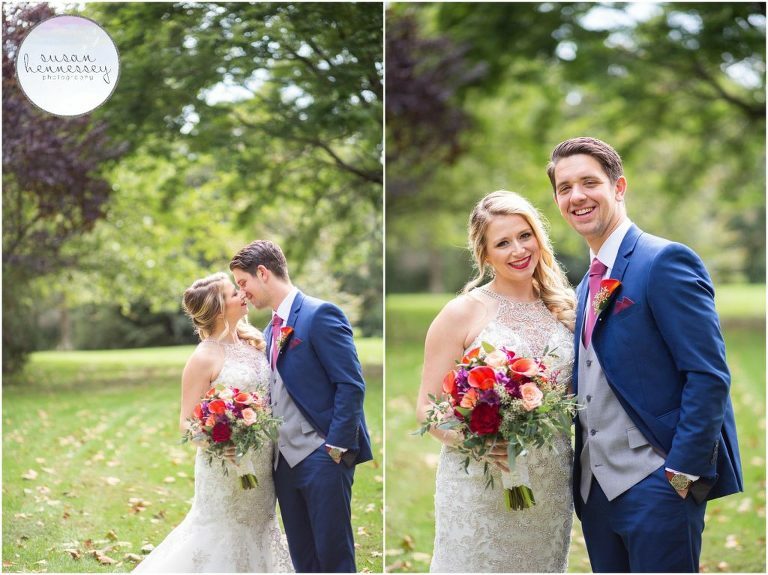 Sarah and Mike had the perfect Fall day with portraits at Bayard Cutting Arboretum, a beautiful wine and blue color palette, a ceremony and reception overlooking the bay, a band that kept the party going all night and a sparkler exit! I am so excited to share this wedding! The day started out a bit rainy, but my bride, Sarah was calm! When I walked into the house, I met an excited bride who adorably still had her hair in rollers! I loved watching the makeup team give her a dramatic red lip and her hair stylist give her a stunning side swept hair style before heading to the first look at Bayard Cutting Arboretum. By the early afternoon, the rain cleared away and we had nothing but beautiful clouds and tons of sun for their portrait session! Mike, a huge jokester was so much fun to photograph and these two oozed chemistry as we photographed my couple in all the best spots at the arboretum. Once portraits were complete, it was time for their personalized ceremony. They had a few Jewish customs and a friend officiate the ceremony, but my favorite part was the view! 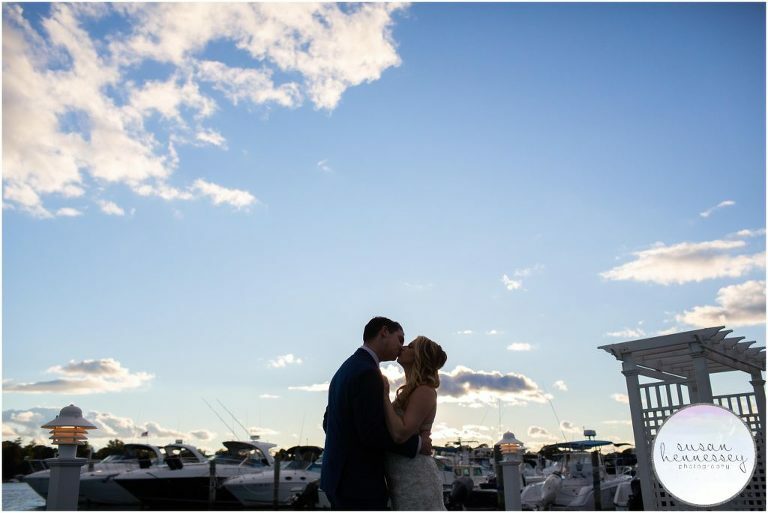 Sarah and Mike chose to have their ceremony overlooking the boats and the docks and the views were breathtaking. Once these two were married, we did one more photo session of the two of them and I am so glad we did, these sunset portraits we were captured were my favorite portraits from the day! I absolutely LOVED photographing their Snapper Inn wedding reception, the Pavillion was a gorgeous space for a reception and it overlooked the docks and had a gorgeous sunset peek in through the open windows. All their details were perfectly thought out and all the rustic wood signs were actually handmade by Sarah, I was so impressed with her skills! Their reception was nonstop fun once it began, their band Silver Arrow Band did a great job keeping the crowd moving, and between their choreographed first dance, the hora, smashing cake in each other’s faces and all the dancing, I had so much fun capturing this group! 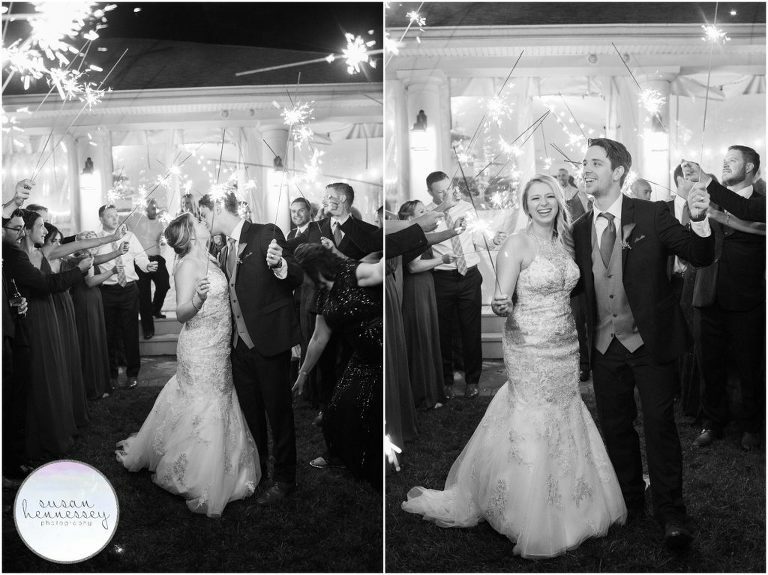 But before the night ended, I was able to capture my happy bride and groom for a sparkler exit, it was the perfect way to end their amazing Snapper Inn wedding! 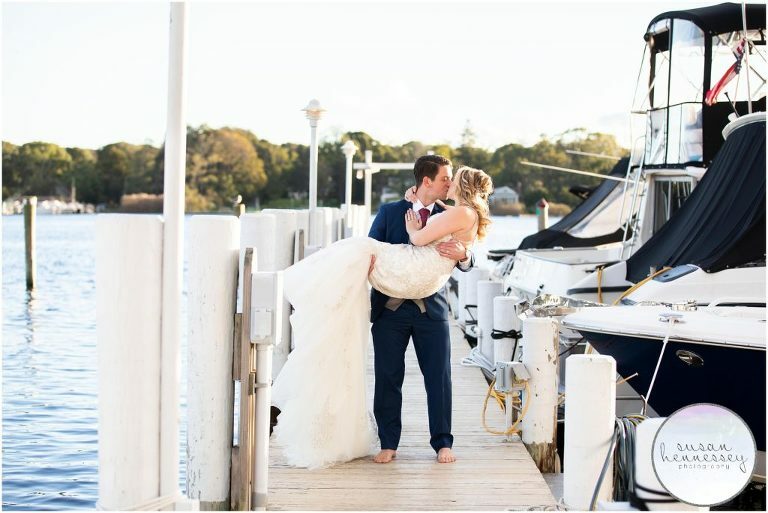 Are you planning a Snapper Inn wedding? Click here to view my wedding portfolio for more inspiration and if you’re ready for more info, click here to fill out my contact form!